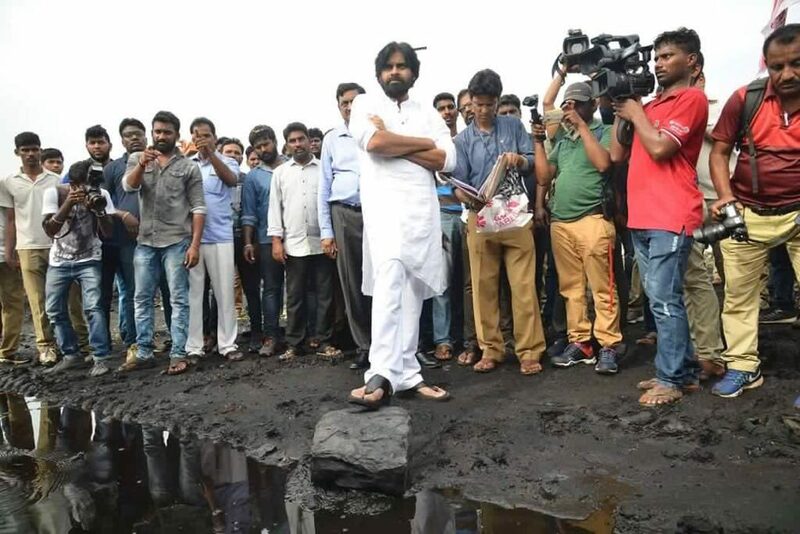 Pawan Kalyan seems to be high spirited with the kind of response he has been receiving on his Porata Yatra. Power star is confident that he can come to power in 2019. TDP claimed that Jana Sena can manage only 10 percent vote share as per their survey. Apparently, it was to discourage the party followers and workers. Pawan took it in his stride and retorted in his style. He sees it as good omen since PM Narendra Modi and US President Donald Trump too had 10% vote share according to him. “I want Janasainiks to know,Hon PM Sri Narendra Modi ji started with 10% vote share ,American president Mr.Donald trump started with 10% vote share &JSP started with 10% vote share( as per the ruling party poll) its a good beginning let’s get the necessary vote share to form Govt,” tweeted Pawan. Like a seasoned politician Pawan has learnt the art of turning criticism into a compliment. This statement of his could boost the spirit of Jana Sena party people. Kapu community has got nearly 20% population in AP. Even if 50% of the community votes Pawan, then he can get to comfortable place near to the CM chair. Previous articleతొలిప్రేమ రీమేక్ తో ఫిదా..